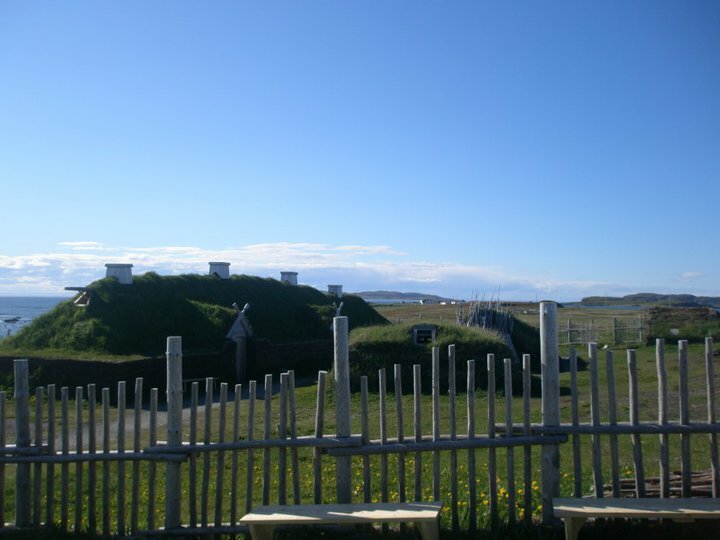 L’Anse aux Meadows is where the world came full circle, an event 100,000 years in the making! When the super-continent Pangea broke up, people had the choice of going left or going right – they did not meet up until just over 1,000 years ago when the Norse crossed the Atlantic met Aboriginals in L’anse aux Meadows on the Great Northern Peninsula. It is a story that is completely untold and undersold as a reason to visit this community of 37, which is home to a World UNESCO site. 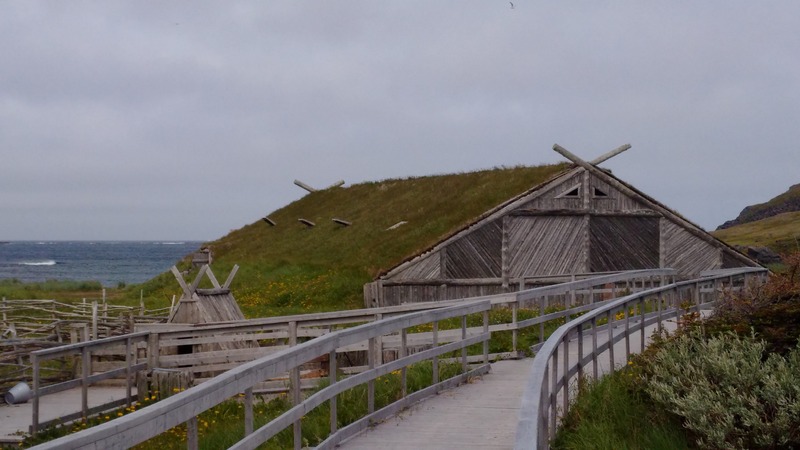 I love going to L’anse aux Meadows, to see the only authentic Viking site in North America, to enjoy the views of the islands, walking trails, visit Leif Erikson statue, dine at the Norseman Restaurant and of course, visit my favourite open air museum “Norstead Viking Village and Port of Trade”. Norstead is just 2 KM from the UNESCO Viking Settlement and was established in 2000 as part of the millennial, celebrating 1000 years of the Vikings’ arrival to the New World. During it’s inaugural year it saw 28,000 visitors, making it a top destination for visitors. At Norstead you get to join costumed interpreters in the dim light of a lit fire at the Viking-style Chieftain’s Hall and listen to mysterious Viking tales. One can step aboard the Snorri, the Viking replica ship that sail across the Atlantic, marking the journey of the Vikings from Iceland to Greenland to Northern Newfoundland. An active pottery studio, enables workers to shape clay into pottery the way the Vikings did. 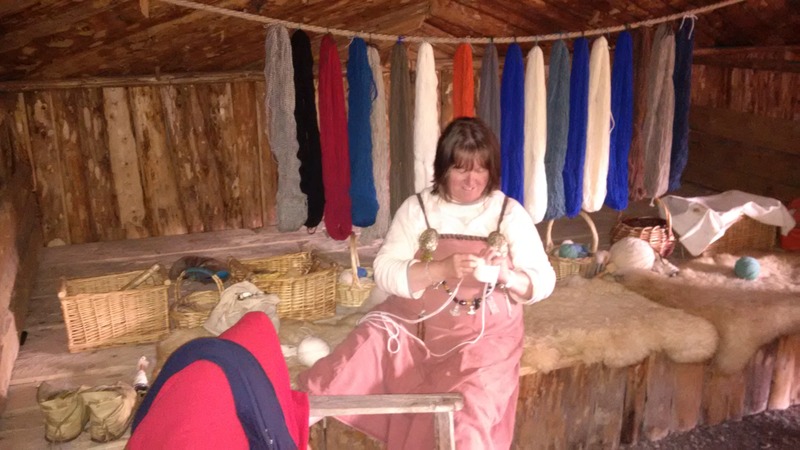 The workers also proudly spin sheep fleece into yarn using ancient drop spindle technology, dying the yarn bright purple, pink, or rusty yellow using local plants and berries and weave it into cloth at the loom. 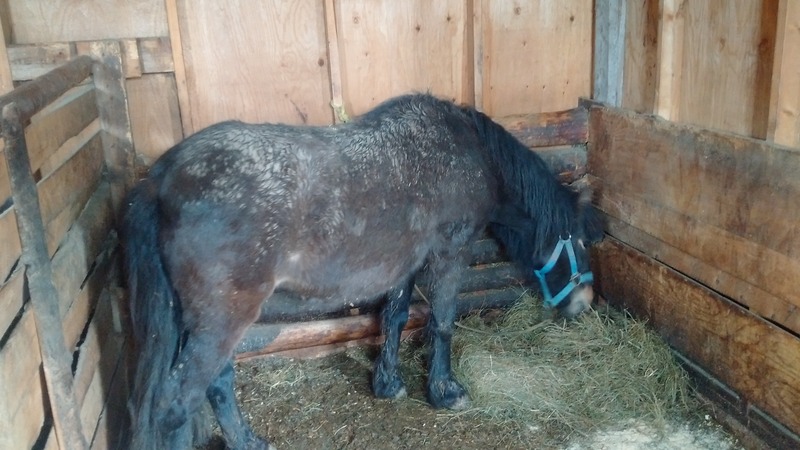 You can watch workers make nails and other items in the forge, throw axes at the woodpiles, play nine man mills and tour other buildings such as the Church and visit with the animals. You can also get your Runes told, by the Runes Teller, visit the marketplace and even conduct trade at the trading station if you bring something to exchange. On Saturday, May 2nd I found that little piece of heaven as I took the afternoon ferry, the MV Earl W. Windsor from Farewell to Change Islands. The return fare with a vehicle is $7.15. No doubt this 30 minute direct run, which was slowed by heavy pack ice is heavily subsidized by the Province. If you have not yet been, you are missing out on one of rural Newfoundland & Labrador’s best kept secrets. The 12 kilomentre jaunt into Town, with a population of 160 has incredible views. The southern part of the island is uninhabited, with trees, bogs and marsh dominating the landscape. Before reaching the second island, I pulled over to take photos of clothes hanging on the line. It made me think of Deborah Gordon and her clothesline calendars. I took several dozen photos before I even reached the bridge and was forced to pull over as the views at both sides of the Tickle would not let me go further. I stood by the boats took some snaps, after looking around, I just couldn’t contain myself and jumped up and down with joy. 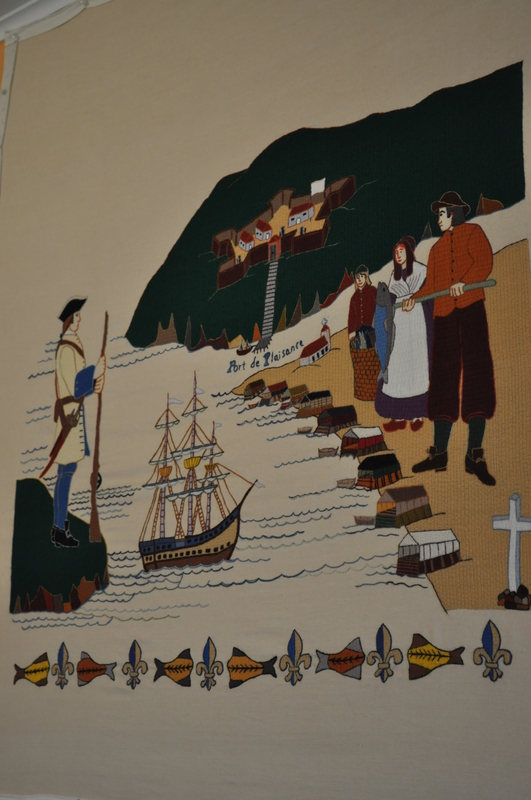 This place was real, this place was what is rural Newfoundland & Labrador, as the fishery dominated the landscape – the boats, the wharves, nets and the fishing sheds. I knew at that moment, I was really going to like this place. The Burgundy Squid and Craft Shop is currently closed, as it is still early for the season. The “For Sale” sign in the window presents a unique business opportunity for the right individual. Behind this dwelling is a Knitting Economuseum and views that will take you breath away. After passing the Seven Oakes, I made my way to the North end of the island where I would take some photos of the lovely vernacular architecture, view the 120 year old St. Margaret’s Church, pass the “Pink” house, see the shed from Harry Hibbs’ squidjiggin’ ground* and make a trek up on Squidjiggers Trail. *Editors Note: I’ve been informed Arthur Scammell had written the squid jigging grounds and was born on Change Islands. The school is named A.R. Scammell, so it may be named after him? I could only re-call Harry Hibbs version of what is Scammell’s song. Thank you “Proud to call it home” for your comment. Squidjigger’s Trail was not possible for me to fully navigate, given rubber boots would have been better footwear than my mesh sneakers, but I did get to the top of the hill. It was quite the look out. You could see where the birds would drop sea urchins or crabs to expose the meat. The ice views and dwellings, while the wind gently blew was nothing but awe inspiring. Change Islands does not only the mind good, but the body as well. The food that is served is nothing but the best of Newfoundland dishes. My supper included fish n’ brewis, with a helping of scrunchions (fried pork fat). To top it all off was homemade lemon meringue pie. One could not ask for a better tasting dish or better hospitality. Dinner table conversation led to more adventure. Another walk around the island, but as the sun was about to set. Serenity, tranquility are words that come to mind. As that last ferry sailed away for the day, you know you were just that little bit removed from the rest of the world for the night. I was only on Change Islands for a few hours, but there was a real sense of contentment here – that I felt at home! Who wouldn’t want to wake up to views like this? On Sunday morning, I had a meeting at 11:30 AM, so I made sure to get up early to trek the roads and places I had not been the day before. 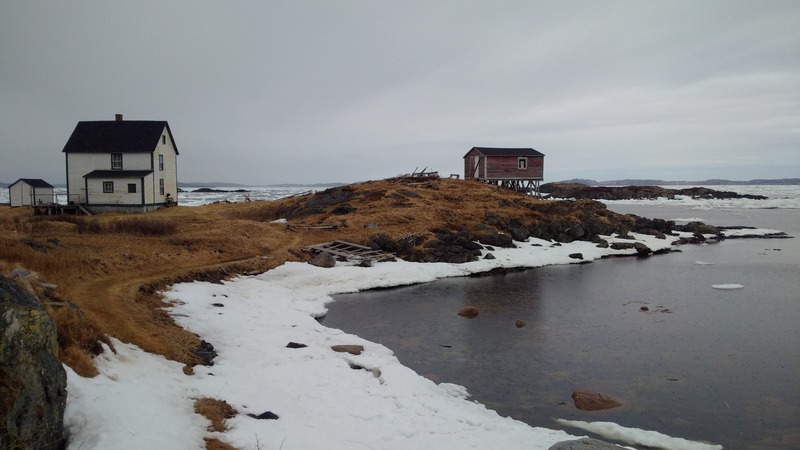 Despite the morning rain it was quite a fruitful experience, from the homes in the NL Tourism Ads, Newfoundland Ponies, trails, wood piles, root cellars, encounters with locals and more postcard perfect views around every single corner – I certainly made the most of my time. I met at the Town Hall with the Manolis L. Citizen’s Committee as they continue to raise concerns about the 600,000 litres of oil that must be removed from the 30 year old sunken vessel. Chronic leaks have been detrimental to bird and sea life. Further action must be taken, to prevent a catastrophic spill that would put at risk the environment and economy of the entire Notre Dame Bay Region. I am very thankful to the hospitality exhibited from the residents of Change Islands. I feel now, I have friends on these islands that I look forward to continuing to have conversations and learn more about the storied past and the ever changing future of this dynamic island economy. Time had passed very quickly, as I waited for the MV Earl W. Windsor to depart the harbour. The heavy pack ice was ever more present that day, requiring ice breaking assistance of the Canadian Coast Guard. It was smooth sailing as I made my way back to the busy city life. Reality was setting pretty quick – it would be another week before I would get back to the authenticity and beauty that is home. The photos are wonderful, but the views and experiences are even more brilliant in person. Thank you all for making Change Islands the destination that is worthy of being known as a little piece of heaven here on earth. You too, can experience this magical place too! On March 21st, The Western Star newspaper broke a story of a “Treasured gift gone: Woman loses seal skin purse at border”. Nora Fitzgerald’s story of loss gained national national attention and was covered on all major news outlets. This woman had her seal skin purse confiscated at the border and was later fined $250 by the USA Department of Commerce. The Western Star listed myself as a major proponent for the hunt, and promoter of seal products. I have taken strong stands against celebrities, citing, “our seal harvest is sustainable, humane, and well-regulated”. I was aware of the legislation, and stated there should at least be leniency for personal items. My seal skin boots depicted in the image below are those of my fathers. He passed away more than 15 years ago. The boots are still in excellent condition close to two decades later. These natural materials are environmentally friendly, no harmful chemicals are being used and they are all made by hand supporting local cottage industries and preserving traditional skills. I certainly sympathize with Ms. Fitzgerald, because I don’t know what I would do if I lost such a sentimental and functional item as my father’s seal skin boots. The USA Marine Mammals Protection Act, 1972 lists seals as an endangered species. The regulation needs updated some 43 years later given the exceptional increase to seal population. The harp seal population has nearly quadrupled since the population lows of about two million seals in the early ’70’s. The seal harvest has been well-managed and annual quotas are allocated based on science. Mr. Speaker, recent news show our seal products are confiscated at the US border for breaching the Marine Mammals Protection Act, 1972. The act inaccurately deems our seals as endangered. In fact, in 1994, the US amended the act to permit Alaskans to take seals. Members of our caucus are steadfast with support. My colleague, the Member for St. Barbe called into an Open Line radio show to explain this situation further and our MHA responsible for Fisheries and Aquaculture drafted a letter that had copies sent to the Federal Government. 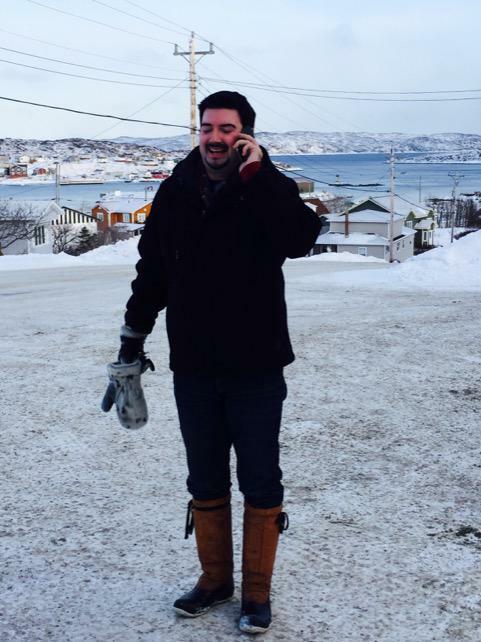 Minister Moore has asked for the return of this purse and that the US Border Agency stop confiscating our seal skin products. I applaud the actions of Minister Moore and encourage others to continue to be part of the on-going dialogue. Sealing is an important industry in Newfoundland & Labrador, that is culturally and economically significant. 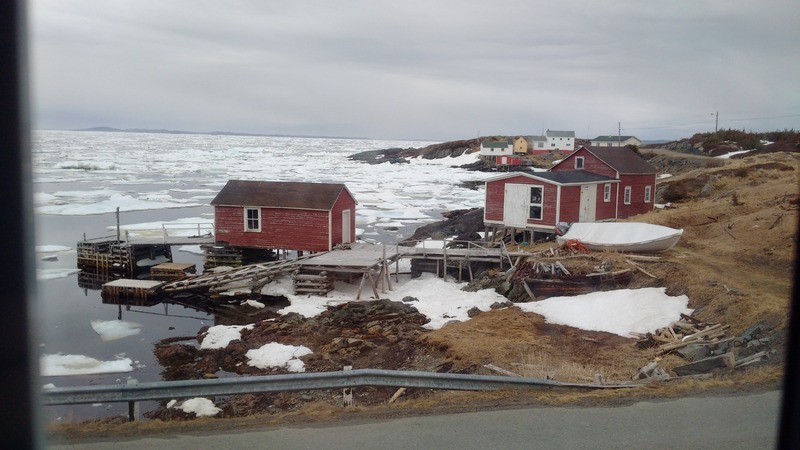 For those wishing to purchase their own seal skin, can visit GNP Craft Producers, Shoal Cove East, a non-profit from The Straits-White Bay North www.gnpcrafts.ca Tours are also available and you can watch local people, make local products. I’ll continue to be an advocate for sealers, for Newfoundlanders & Labradorians and Canadians as we advance the industry. It truly is part of the fabric of the Great Northern Peninsula and rural Newfoundland & Labrador. 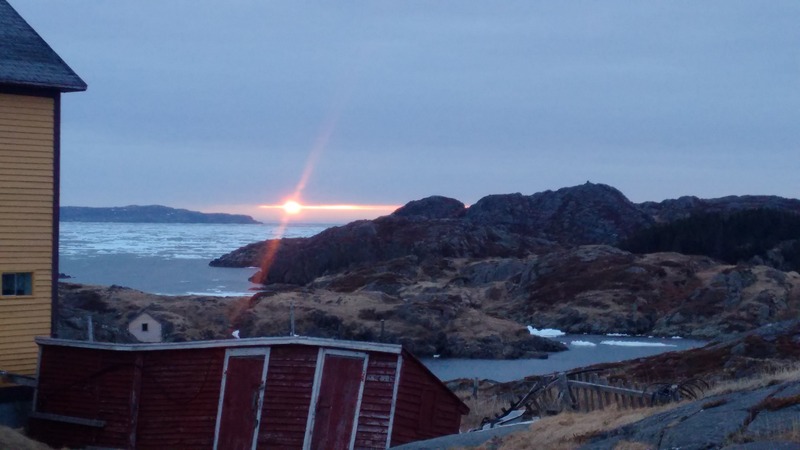 A beautiful view at Farewell waiting for the ferry to the cultural communities at Change Islands and Fogo Island. The fishing industry dominates the coastline of our many rural communities, highlighting the importance, the reason we have existed on this Rock for more than 500 years. The crab pots, their design and the people who work them are all part of our rural experience in Newfoundland & Labrador, whether Fogo Island, Carbonear or the Great Northern Peninsula – your authentic rural experiences await! Those who live on the Great Northern Peninsula appreciate the true beauty, the mystique and charm that comes with Northern living. I’ve spent a lot of time travelling many countries of the world, mainly visits to capital cities. They have their exceptional offerings, but one can not compare the authenticity of culture and place. I remember saying, “I’ve been to Dublin three times to my Irish friends and they would say, you have never experienced Ireland”. So in 2010, I took them up on this comment and rented a car and drove 1,800 kilometres from Kinsale to the Giant’s Causeway and all places in between. I can now say, I’ve truly experienced Ireland from the farmhouse dinners to the rugged shorelines to the nightly sounds at multiple pubs. Now, the same is true with Newfoundland & Labrador, if you come and visit the Capital and never make it up the Viking Trail on the Great Northern Peninsula’s tip, you are truly missing a rural gemstone that will provide lasting memories and conversation pieces for a lifetime. The Great Northern Peninsula is home to the only authenticated Norse site in North America at L’anse aux Meadows World UNESCO Heritage Site. Only a short distance away is the Snorri and a Viking Village and Port of Trade. Norstead gives everyone the opportunity to interact and live like a Viking! Sagas, Stories and Tales and more are part of the original experience. 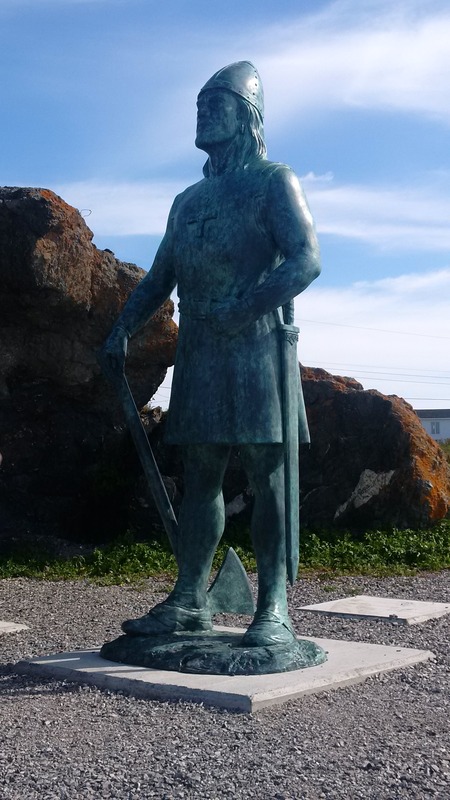 Multiple cruise ship visits make L’Anse aux Meadows their port of call where they are greeted by a giant statue of Lief Erikson. Restaurants, craft shops, coffee shops, lounges, artisans, economuseums, walking trails, campgrounds to vacation rentals, and story boards make for unique experiences. The fishing stages, vernacular architecture and sights and surroundings are unique in itself. If you are lucky you will see moose, caribou and other wildlife. 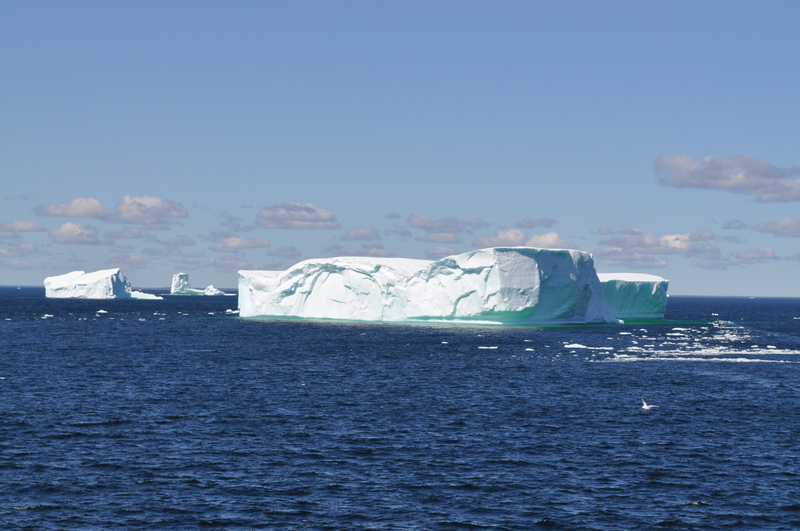 In Spring and Summer giant icebergs come to shore…only the biggest can be found the further North you go. 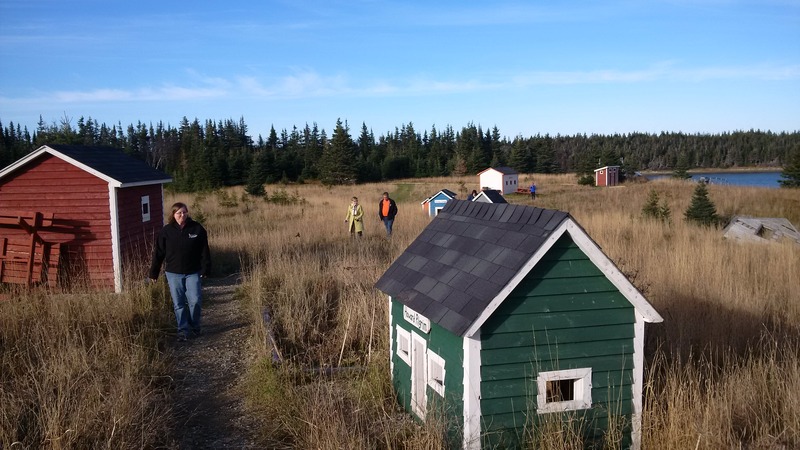 Lighthouses hunters (Cape Norman, Cape Bauld, Flower’s Island), bird and whale watches and those in search of rare plants will want to trek the Great Northern Peninsula. 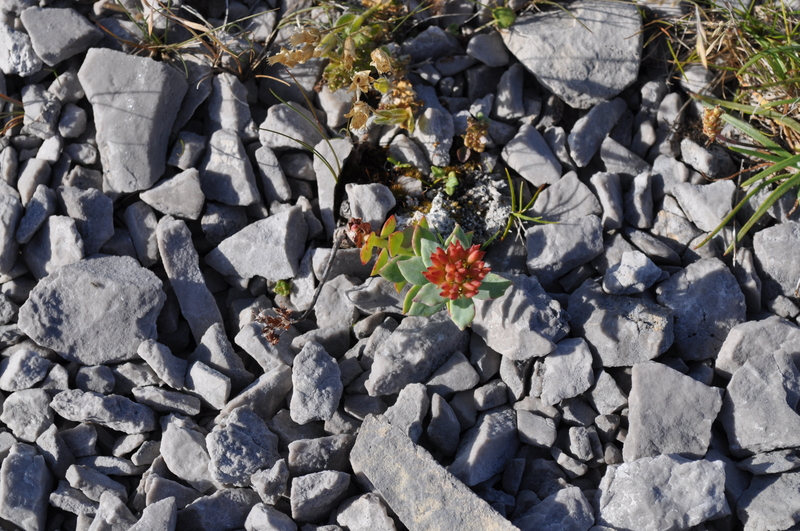 The Burnt Cape Ecological Reserve has 300 species of plants, thirty of which are rare and one unique to the region. 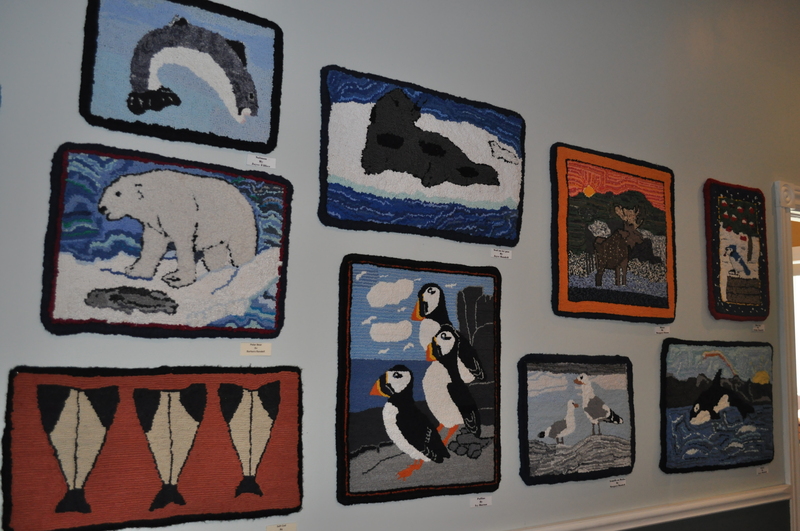 Images of wildlife and everyday living can be viewed at Town of Englee Municipal Building at their Mat Hooking Exhibition. Also in the building, is home to Glacier Glass, a glass art studio which has handcrafted items that are quintessentially rural. Main Brook and Roddickton-Bide Arm is home to excellent fishing and hunting experiences and adventure tourism. While visiting these hubs one can visit St. Julien’s & Croque and see the French Cemeteries and Fishing Stages or explore the tapestry in Conche, which is home to the French Shore Interpretation Centre. There is also a French bread oven in Quirpon and Dark Tickle is home to the Granchain Exhibit. 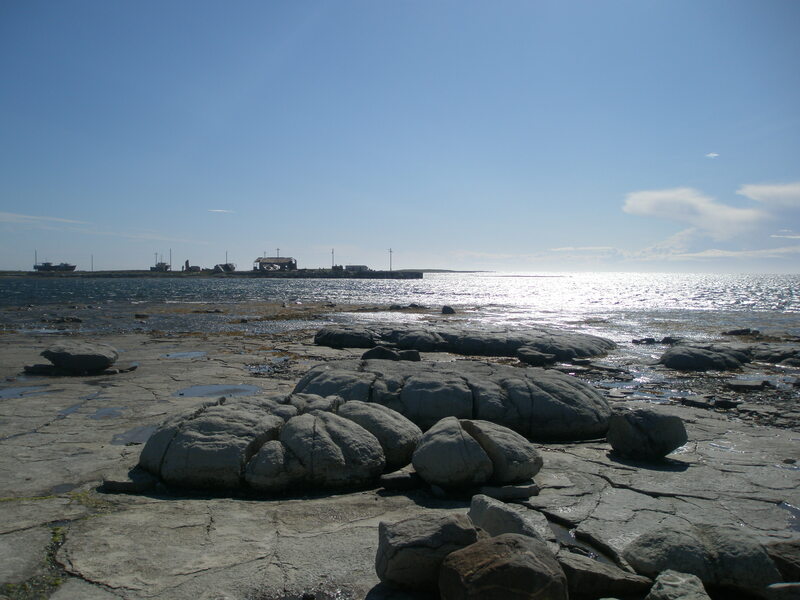 We also have unique thrombolites at Flower’s Cove, or “living rocks” that are between 600 million to 1.2 billion years old. A boardwalk will take you there, as will a boardwalk take you back to Deep Cove, which is a winter housing Historic Site. In winter the trails are a great place to leisurely ski or snowshoe. Dr. Grenfell is a larger than life man and his work is reflective of the economy in Northern Newfoundland and Labrador today from the expanse of medical services, co-operatives, handicrafts and economic development – one will not want to miss the Grenfell experience at the Historic Properties. Fishing Point Provincial Park, Polar Bear Exhibit, Northern Discovery Boat Tours, The Great Viking Feast and the Legion Kitchen Parties are also for the to do list. The Iceberg Festival in June and Mussel Festival in August also draw lots of attention and provide fun for the whole family. Let’s not forget the times to be had at the Conche Garden Party and Goose Cove Garden Party. Wherever the road takes you on the Great Northern Peninsula, the experience will be unforgettable – as the people, culture and place are just that.